After years of experience in the productivity realm, Beck was well equipped for her return to OmniFocus. She makes good use of carefully-chosen emojis to bring a strong visual element to OmniFocus. She also uses OmniFocus to help cultivate the person she wants to be, emphasizing her role as a wife, friend, daughter, colleague, and neighbour, in addition to her own personal development. Beck has years of experience using paper-based solutions alongside digital tools. Among other things, she uses a modified version of the paper-based Bullet Journal note-taking method that was created by Ryder Carroll. She’s also a fan of the Pomodoro Technique that was developed by Francesco Cirillo in the late 1980s. Her procrastination-preventing implementation includes her bullet journal, OmniFocus, and the Be Focused timer app. Her academic workflows includes Google Docs, Tinderbox, Paperpile, Bookends, Hazel, GoodNotes, and DEVONthink. You can learn more about Beck’s time and task management workflows on her website. 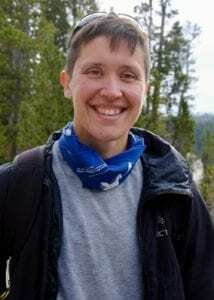 Beck Tench is a wife, daughter, friend, teacher, gardener, cyclist, kind stranger, and PhD student at the University of Washington Information School. She researches how the design of physical and digital spaces cultivates contemplative experience and practice. She is particularly interested in understanding how space facilitates a greater capacity for accessing personal wisdom, connecting with others through compassion and friendship, improving the quality of our lives through greater awareness of life as we’re living it, and coping with the distractions of digital culture. She was formally trained as a designer at the University of North Carolina at Chapel Hill and spent her career before returning to academia helping museums, libraries, and non-profits embrace risk-taking, creativity, and change through technology and personal space-making. Her work from that time was mentioned in the New York Times, National Public Radio, Scientific American, and several books and blogs. During the live session, you’ll have the opportunity to ask questions and share insights using the chat box and audio/video conferencing. You’re welcome to join the live session 15 minutes before the start time to familiarize yourself with the online meeting technology we’re using and for an informal chat with other participants. The live session will remain active for 15 minutes after the completion time for additional questions and sharing.